Rockaway Clam Bar – A new project for Rockaway local Susan Povich, who founded the Red Hook Lobster Pound. The stand will feature delicious seafood centric fair such as ceviche, shrimp and clam rolls. Samesa – Chef siblings Max and Eli Sussman (formerly of Roberta’s and Mile End) will be serving their take on middle eastern food including creamy beet hummus, lentil pistachio spread, and chicken shawarma made with organic chicken thighs marinated in buttermilk, labneh and cilantro infused z’hug. Ample Hills Creamery – Consistently ranked as the No. 1 ice cream shop in New York City by Zagat, we are thrilled to have this crowd favorite back. Fletcher’s BBQ – Bill Fletcher’s barbecue restaurant will be smoking their own fare over maple and red oak. Fletcher’s sources meats from farm-cooperatives which raise animals using humane, all natural, hormone free practices. Look out for Bill’s mobile BBQ pit stationed directly beside Bay 9’s main food hub. Bolivian Llama Party – Three brothers serving a different kind of Bolivian food in New York City have made waves recently being named the Village Voice’s 10 best Pop-Up Restaurants, and most recently CNN’s list of Best Street Food. Consider trying their delectable chola slider and look out for their new veggie friendly menu items at Riis Park. Ed & Bev’s – Also by the Sussman brothers, this Detriot-style diner with a menu that focuses on coney dogs along with familiar Greek and American specialties that are made from scratch. Cuisine by Claudette – Claudette has been cooking under the tutelage of various culinary experts for over 35 years. Traveling throughout Europe and Northern Africa, Claudette has honed her skills as a culinary chef. She has spent the last 12 years lovingly feeding the community of Rockaway by holding cooking classes in the intimacy of her family’s kitchen, as well as catering for private parties and special events. Coney Shack – Recently ranked No. 1 in the Top 100 Places to Eat in Brooklyn by Yelp, and having won Best Rookie Mobile Food Vendor by the Vendy Awards, Coney Shack’s Southeast Asian Tacos are not to be missed. Chick’nCone is featuring their famous grab and go, fork free chicken and waffles along with their tasty Cajun fries to satisfy those beach day cravings! Trop Pops – Frozen 100% whole fruit on a stick dipped in dark couverture chocolate. 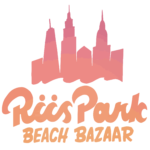 Sausage Hero – Enjoy kosher sausages from Sausage Hero, new to Riis Park Beach Bazaar this summer. East Coast Roast – A family owned and operated small-batch artisan coffee roasting company, focused on providing the finest locally roasted single-origin coffee at reasonable prices. Comostamos is a Mobil Latin inspired concept. Chef and owner Todd Luceys cooks his versions of some classics like Empanadas, Churros, Shrimp Ceviche plus much much more. The Meat Up – Featuring premium char-grilled meats & vegetable skewers, seasonal salad specials and sweets. La Newyorkina – La Newyorkina crafts traditional Mexican “ice pops” (paletas) infused with fresh fruits and juices. This deliciously icy bar is the PERFECT beach treat. ByTheBeachCocos – Childhood friends Mikey Reen and Dylan & Ryan Sirgiovanni founded their coconut stand to bring the vibe and feel of tropical beaches to their little strip of urban paradise. They are all born and raised Rockaway natives. Their Young Thai Coconuts are always fresh and cold. Mud – Superfood mousse dessert made locally in Rockaway with bare ingredients. Oaxaca Tacos – Traditional and inexpensive Mexican fare inspired by the flavors and ingredients of Oaxaca. Look for their brightly colored truck stationed closest to Fort Tilden! They plan to be open more weekdays this year. Cuisine by Claudette – A Moroccan-Inspired restaurant based in the Rockaways with delicious, comforting and healthy food choices. CORRESPONDING PLACE ON OUR PARK MAP!